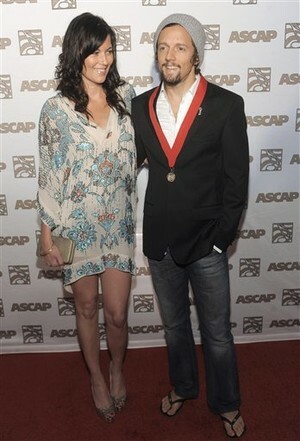 XOXO Jes - Canadian Entertainment News: Jason Mraz and Tristan Prettyman Engaged! Jason Mraz and Tristan Prettyman Engaged! Jason Mraz and Tristan Prettyman got engaged yesterday! Cute. I defs heart Jason Mraz. He is a genius annnnnd so fantastic live. Tristan Prettyman, also a musician, is good too. Although I have only ever heard one of her songs.